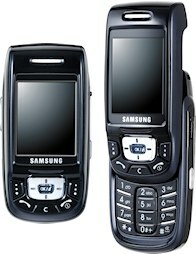 The Samsung D500 was the first Samsung phone to feature Bluetooth, something that other manufacturers had done for a long time. 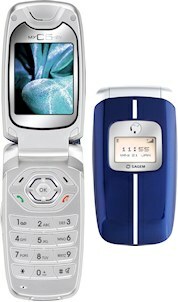 A good all-round slider phone, the D500 was also very successful and helped expand Samsung's small but growing market share. Palm more-or-less created the PDA (personal digital assistant) market in the 1990s, but for some reason it didn't make the logical step to creating a smartphone for a long time. The PalmOne Treo 650 was the first smartphone that they designed in house, based in a large part on technology acquired from a firm called Handspring. Palm could never quite crack the market, however. 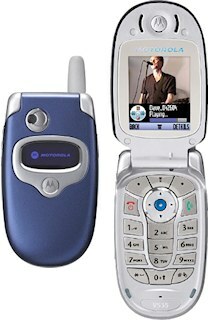 Motorola were firmly entrenched in clamshell phones in 2004, launching a whole range of them. 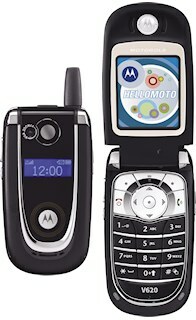 The most notable was the Motorola V620 at the higher end of the scale, along with several devices from the Motorola parts bin such as the Motorola V535. By the end of 2004 Panasonic were floundering badly. 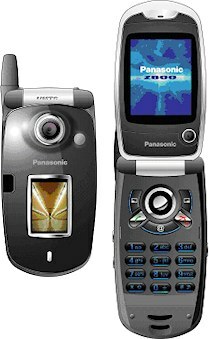 The Panasonic Z800 was meant to be a reasonably equipped and somewhat compact 3G phone, but it is quite probable that this phone never existed in anything other than prototype form. If you were looking for a budget phone a decade ago, then you may well have looked at the attractive and relatively cheap Sagem myC5-2 clamshell phone.. although you can buy a smartphone these days for the price you would have to pay for a prepay phone a decade ago. 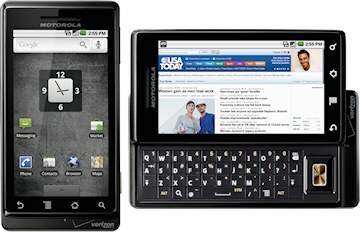 Motorola had only announced their first Android phone the previous month, but the Motorola DROID easily trumped that. It was the world's first Android 2.0 smartphone, and it came with a slide-out QWERTY keyboard and a high-resolution screen and fast processor. 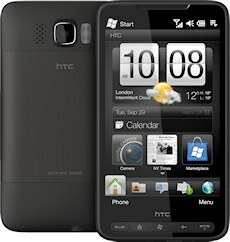 Although the DROID was a CDMA handset, a worldwide GSM version soon followed called the Motorola Milestone. 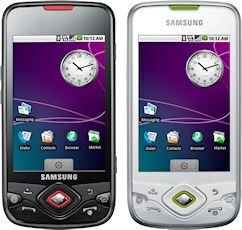 Samsung have produced literally hundreds of different Galaxy smartphones and tablets in the past five years, but the Samsung Galaxy Spica (or Galaxy Lite) was one of the first, and was designed to be a bit cheaper than the original Samsung Galaxy. 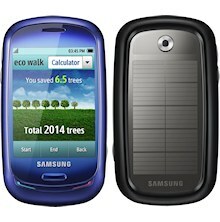 A couple of more esoteric Samsung devices announced this month, the Samsung Blue Earth finally started to ship after a long wait, featuring a large solar panel on the back, but it was not a success. 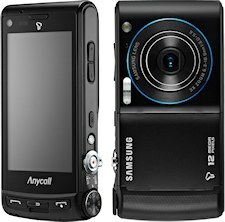 The Samsung SCH-W880 was an early example of merging a proper digital camera with a touchscreen phone, but this gadget was heading for Korea only. Samsung were still pushing Windows phones very hard, but the Samsung Giorgio Armani smartphone was something out of the ordinary, with lots of bling and a price tag to match. Five years ago many manufacturers thought that BlackBerry was the company to beat, and the Samsung Omnia Pro was a BlackBerry-style Windows phone with a little QWERTY keyboard. The most impressive phone launched this month in terms of hardware was the HTC HD2, which featured a then massive 4.3" WVGA display and had pretty much all the bells and whistles you can think of. BlackBerry meanwhile was attempting (and failing) to challenge the full-touch market with the BlackBerry Storm2, a revision of the problem-prone original Storm model. Rather more successful was the BlackBerry Bold 9700 which appealed to BlackBerry fans by not messing with the formula too much.